Cash registers are dumb. Why do we still have them? Invented in 1879 to keep saloon employees from stealing, the cash register combines the functions of a calculator to add up the purchases and a lockbox to keep cash safe. It assumes that retail employees have no verifiable way to add up numbers. And it assumes customers are paying in cash. Nowadays, most people have a smartphone and pay electronically. So the assumptions are gone. Yet cash registers remain. The success of online retail demonstrates that you don't need a Victorian-era contraption to sell things. You can do it all electronically. But brick-and-mortar retail stores have a problem that online stores don't: shoplifting. Without a cashier verifying the purchase and providing a paper receipt, it's hard to stop some people from just taking stuff and walking out without paying. The whole cash register model now represents a ritual that exists mainly as an anti-theft system. That sounds like an easy problem to solve. Turns out it's not. Amazon Go is that company's latest concept for disrupting brick-and-mortar retail. The company's vision is that you shop normally, then just walk out of the store without waiting in a line or interacting with a cashier or point-of-sale system. The Amazon Go concept store watches you shop and lets you skip the cash register. Amazon Go is a single 1,800-square-foot store in downtown Seattle that sells groceries as well as prepared food that's ready to eat. Amazon Go also features "Amazon Meal Kits," which are pre-portioned ingredients with recipes, a concept similar to Blue Apron. The Amazon Go store is not open to the public. Amazon has been developing the store's technology for years and "beta testing" the store with employees for months. A report in The Wall Street Journal claimed that Amazon intended to open last month but delayed the launch because of technical issues. That's not surprising. Amazon is attempting something very bold and new. Amazon is using a combination of computer vision, sensors and deep-learning algorithms to know who's buying what. Amazon says that its patented "Just Walk-Out Technology" uses artificial intelligence (A.I.) comparable to the A.I. used in self-driving cars. Here's how the store works. When you enter, you scan a QR code on the Amazon Go app at the front door. That scan announces to the store's system that you're there and preemptively authenticates the purchases you're about to make. Amazon's "Just Walk-Out Technology" has one job: to figure out what you're taking out of the store. As you remove items from the shelf, A.I. uses multiple inputs to figure out what you grabbed. Cameras watch you take it. Scales built into the shelves provide data to calculate the weight of what you took. Amazon's patent filing suggests that the system may also refer to past purchases to help identify current ones. In other words, intelligent software analyzes a video feed to determine that you removed something from the shelf that looked like a cupcake. It considers data from the shelf, which is also a scale, and calculates that you took something that weighs about as much as a cupcake. And it checks your purchase history — it knows you're a cupcake-eating maniac. After all that input, the software decides that you took a cupcake off the shelf and adds it to your list, which is kept up-to-date in real time as you shop. If you place an item back on the shelf, the item is removed from the list. It's possible, based on patent applications, that Amazon intends to use both face and body recognition (metrics like height and weight) to continuously identify you when you wander around the store picking up items. Here's the best part: When you're done shopping, you just walk out of the store. As you leave, sensors at the door detect that you're exiting, and your Amazon account is charged for the items you got. It's like shoplifting, except you have to pay for everything you took. The technology is advanced. It may be too advanced. It appears that Amazon's "Just Walk-Out Technology" makes a lot of mistakes, which is probably OK within reason. But it also may crash, bringing the whole system to a halt, which is not OK.
Amazon dominates retail already. Walmart is a global retail giant worth $215 billion (the company's value based on stock price). By comparison, Amazon is worth $430 billion -- twice the value of Walmart. It seems like Amazon has a sweet deal going with online retail. Why would they want to enter into the brick-and-mortar space? The truth is that there are many items that consumers won't buy without seeing or trying them in person. Think of couches, for example. You probably don't want to buy a couch unless you can feel how comfortable it is. There are other items, such as your lunch, that are too perishable for shipping. Amazon has been trying a range of ideas for breaking into the $800 billion U.S. grocery industry. The Amazon Fresh delivery service is now available in 20 U.S. cities. Prime Now delivers groceries from local grocery stores in a few locations. Subscribe & Save lets people subscribe to buy paper towels and a range of other non-perishable but frequently consumed items for delivery like other Amazon items. A system like Amazon's "Just Walk-Out Technology" adds convenience to shopping. But the real revolution is a quantum leap in behavioral data. In the same way that companies like Amazon, Google and Facebook track every mouse movement, every click, every scroll and every hesitation while you're browsing the Internet, Amazon Go's system potentially brings that level of customer awareness to the brick-and-mortar space. They'll know if you hesitated to buy that cupcake. They'll know you spent three minutes browsing the burrito options without finding something you wanted. They'll know exactly how long you were in the store, which sections you checked out and of course what items you bought, exactly. It's likely that Amazon will open the Amazon Go store to the public sometime in the next few months. They will probably have to limit the number of customers allowed in the store at the same time. And the "Just Walk-Out Technology" will make a lot of errors for the next few years, requiring human supervisors to monitor and correct those errors. For the foreseeable future, Amazon Go will be a half-baked mirage. Amazon will accept losses resulting from errors as the price of learning how to do no-cashier retail. Eventually, the payoff could be huge. Once Amazon makes "Just Walk-Out Technology" reliable and relatively error-free, the company can roll out stores nationwide, then worldwide. Like self-driving cars, however, automated stores that really work are years away, and for the same reason: A.I. just isn't good enough yet. Starbucks is also working on the elimination of cash registers and cashiers. 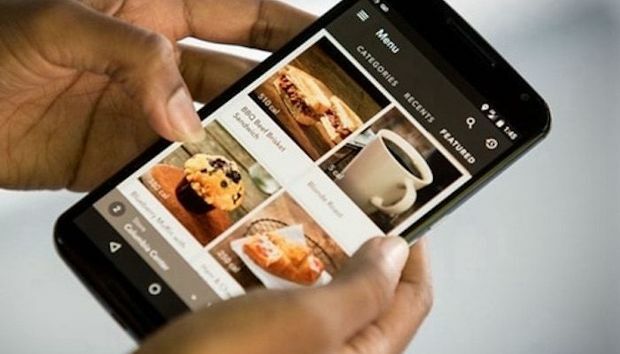 The company's app enables a service called Mobile Order & Pay, where you can order anything on the Starbucks menu via the app and pick it up without interacting with a cashier. The company last week opened a mobile-only store at its Seattle headquarters. Sometimes customers place their order at the wrong store. I've done this myself a few times. That means the product is wasted at the wrong store, and the customer has to wait in line like everybody else at the right store. Mobile Order & Pay can be great for coffee thieves bold enough to just grab somebody else's order. In stores where this happens frequently, the drinks are placed out of reach, forcing Mobile Order & Pay users to wait for a barista to give them their order. Starbucks executives have hinted that they're working on perfecting Mobile Order & Pay. But making it function as it should will take years — and the development of more advanced technology. While Mobile Order & Pay is worthwhile for Starbucks (because their long-line problem is bad, coffee is so cheap and errors are fast and cheap to make right), it actually doesn't work well and isn't exportable to other retail situations that aren't selling what is essentially flavored water. Apple was the first major retailer to enable a smartphone-based system where you can pick your product and waltz out of the store without interacting with a cashier, launching their EasyPay self-checkout system years ago. The Apple Store app enables you to process your purchase as if you were buying online, then walk out of the store with the item. This system isn't especially replicable. Apple doesn't use advanced technology for this feature. And one benefit of self-checkout should include cost savings because fewer employees are required. But with Apple, the opposite is true. The system works to deter theft only because Apple Stores employ dozens of employees, often for stores that are really a small single room. Apple's system works for Apple because that company sells very expensive items at mass market scale, enabling them to afford an army of watchful employees. Amazon, Starbucks and Apple create the illusion that the era of automated, smartphone-based brick-and-mortar retail is here. The truth is that the technology behind these stores doesn't work nearly as well as it appears to. And the systems developed thus far can't be extended to the wider world of retail stores. Someday, stores will enable you to skip the cash register altogether. But for now, I just don't buy it.